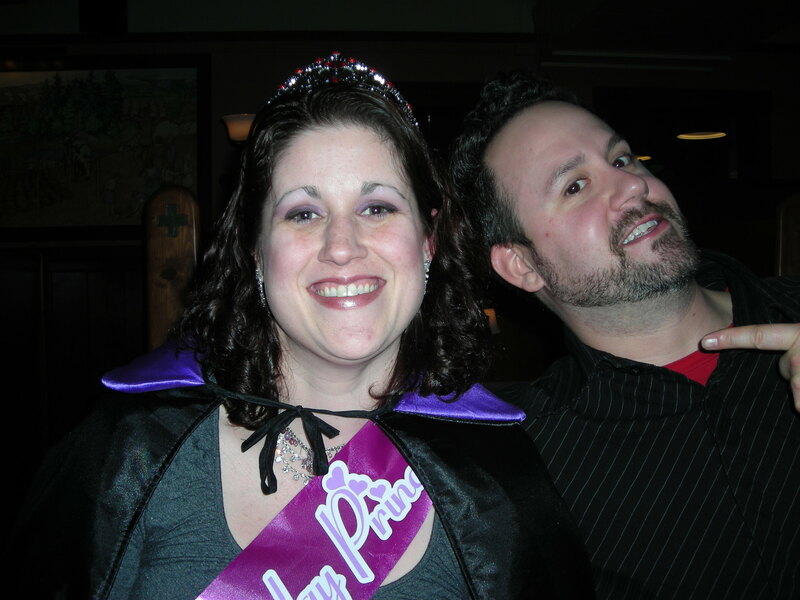 Another blog I read, Heather’s Dish, was talking about birthdays and I wanted to share how I celebrated my 30th birthday this year. It was back in January (before I had a blog). I confess that I wasn’t looking forward to 30. The number freaked me out. To remedy the dread I was trying NOT to feel, I decided to plan a shindig to celebrate. 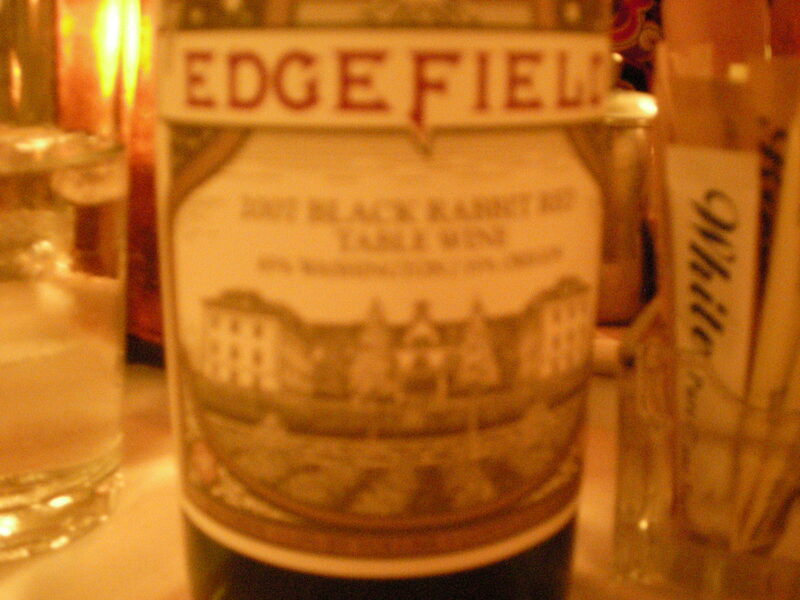 I made dinner reservations at Edgefield in Troutdale, Oregon. It’s a very cool old hotel with several different bars and restaurants in it, a spa, a golf course, and a winery. My friends surprised me by bringing a princess crown, cape, sash, and a My Little Pony doll (’cause every princess needs a pony). It was quite the surprise. There was a lot of good food and wine. Since this was pre-blog, I didn’t take a picture of the food. 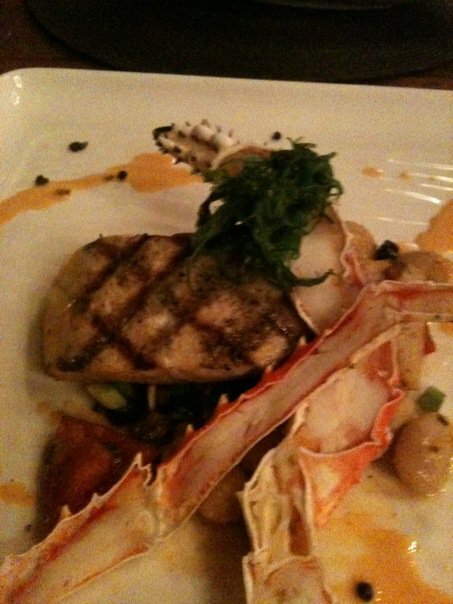 But Michael and I split an order of crab-cakes, and then I got a steak with mashed potatoes and grilled veggies. So good! It was a fantastic night and I had a great time with all my friends. The next morning, Michael and I left for a mini-vacation! We went to Sunriver, Oregon (by Bend) and stayed at Sunriver. Sunriver was amazing! 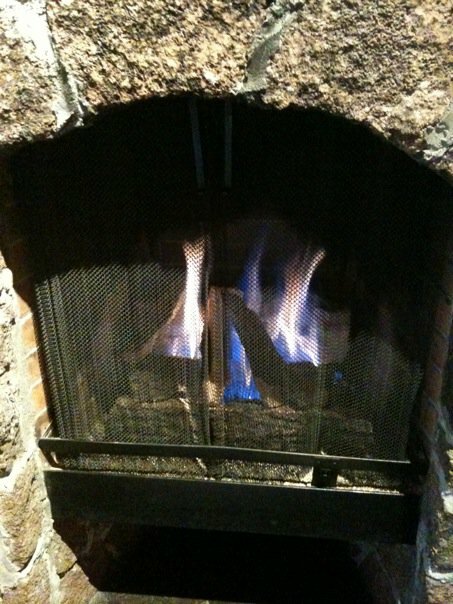 Our hotel room had a gas fireplace in it (my favorite part). 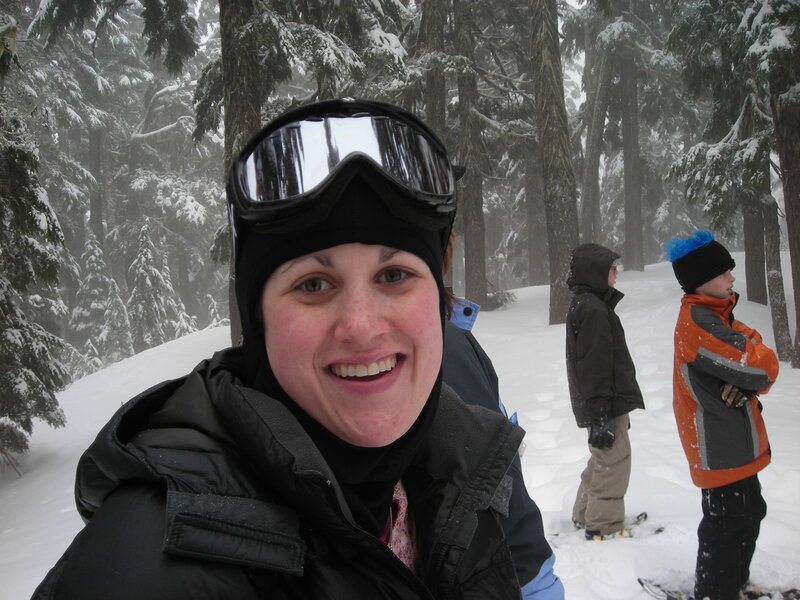 Sunriver is the perfect vacation spot for active people. The resort had miles and miles of trails for running, biking, and walking. We were there in January, so no running or biking. But we walked to their spa several times. 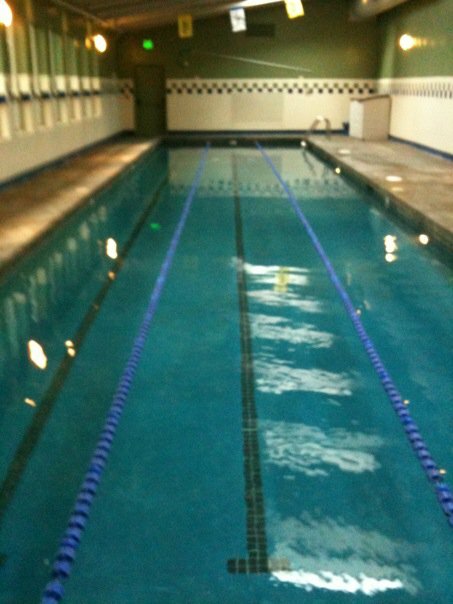 I swam in the exclusive spa pool as well (and had it all to myself). We ate a lot of really good food. 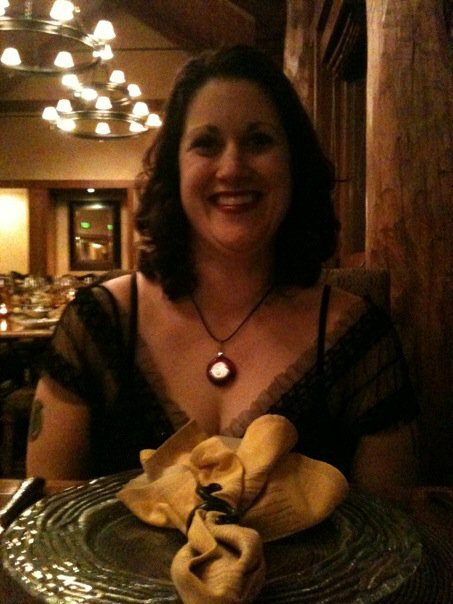 One night, we went to the fancy restaurant nearby (at the exclusive golf course) and ate a wonderful dinner. 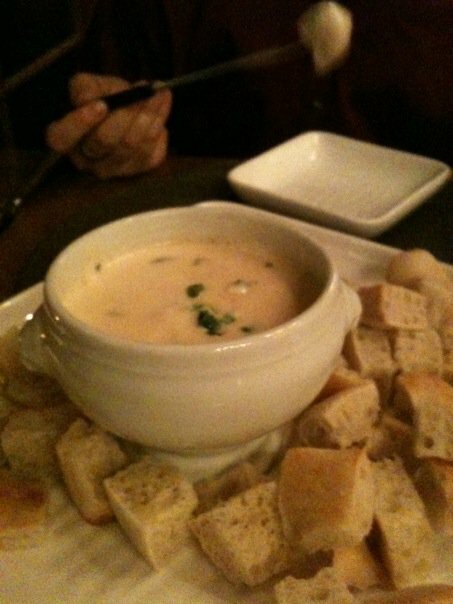 The first course was crab fondue. Oh. My. God. So good. I got the fish for dinner. I believe it was salmon and crab legs. We also got massages (heavenly) and went snowshoeing on Mt. Bachelor. 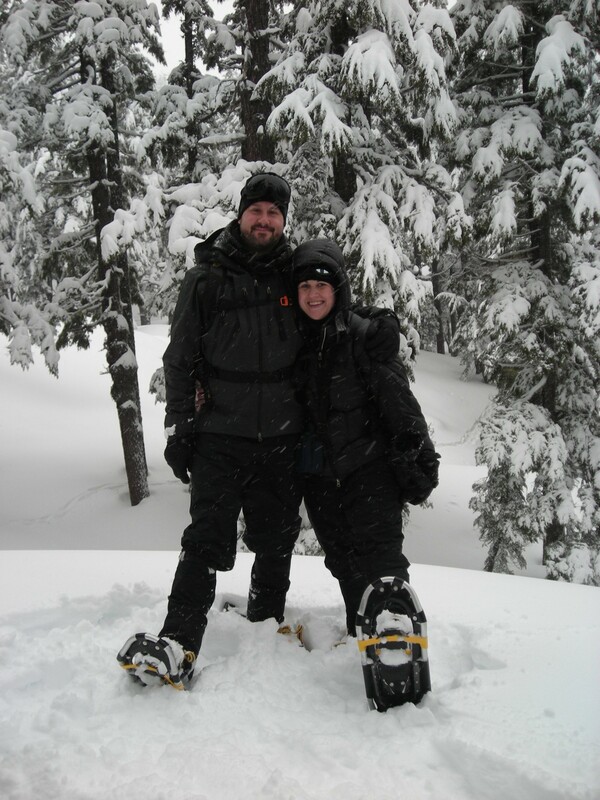 Snowshoeing is one of my favorite activities! It was Michael’s first time and he loved it. 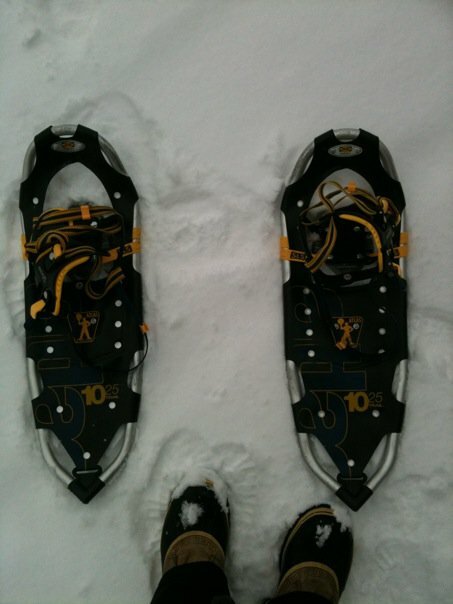 If you haven’t tried snowshoeing, do it! It’s such a fantastic work out. 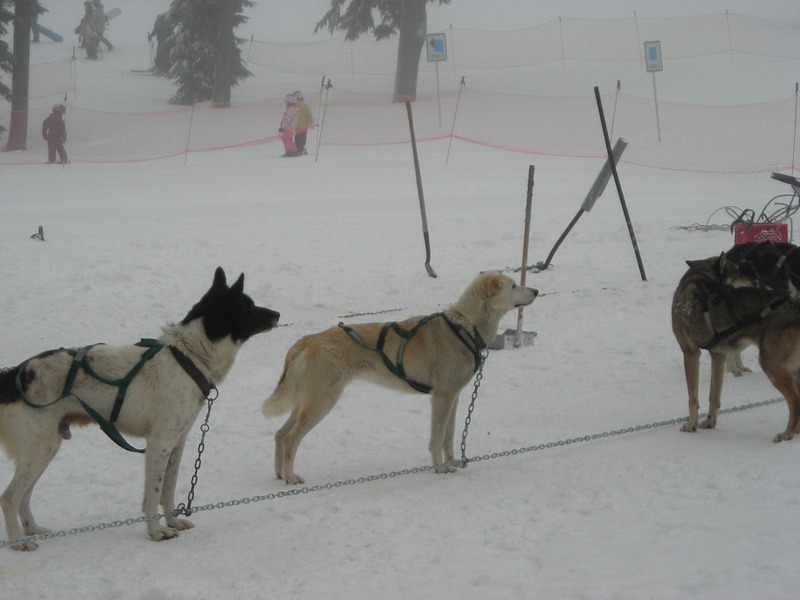 We also saw people doing dog sled tours. It looked cool but I had mixed feelings about it possibly being cruel to animals, so we skipped that. 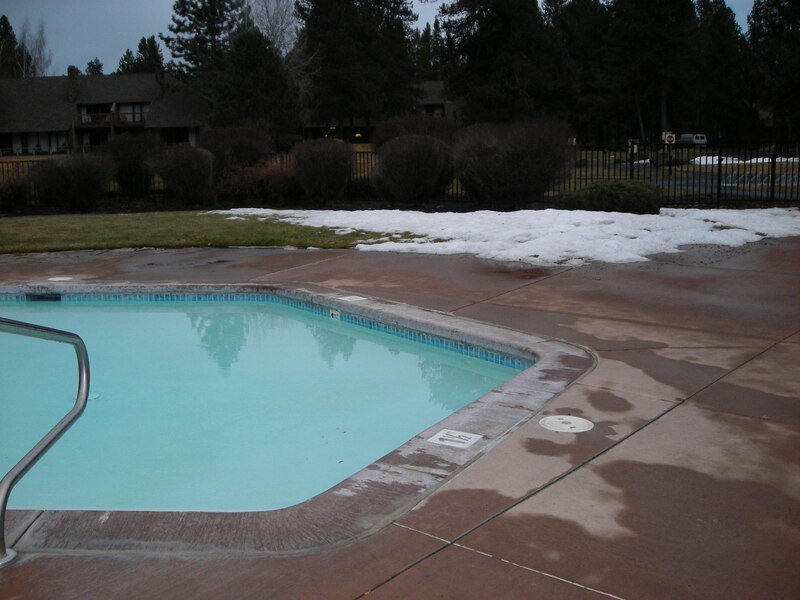 Sunriver had outdoor heated pools and several hot tubs. It was really cool to sit in the hot tub outside, surrounded by snow! 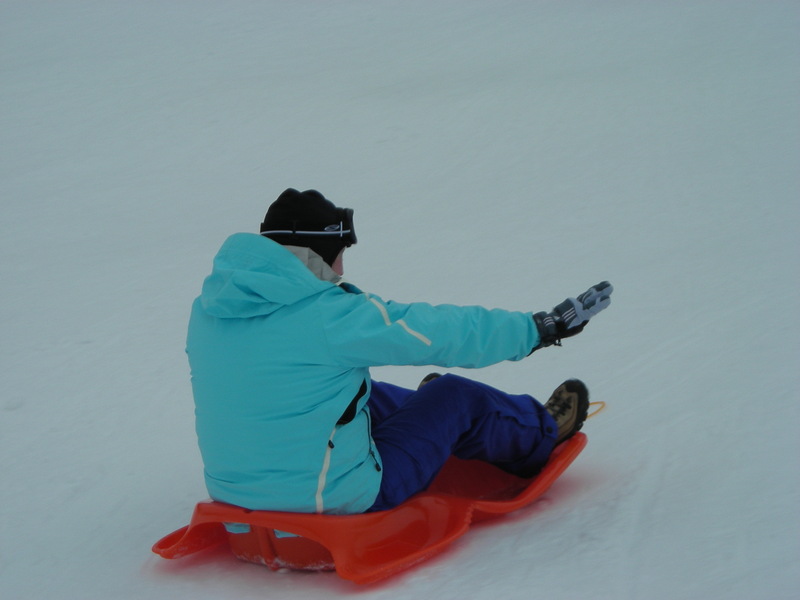 We also did some sledding! Fun! It was probably my favorite birthday so far! QUESTION: What is your favorite birthday memory? I celebrated my 30th in January as well. (1-11) I didn’t do anything too exciting, just a small gathering of friends at my local dive bar, where Ryan and I made lots of dips and I made the most delicious red velvet cakes. I also got a surprise b-day from my family – which is pictured in blog. After seeing that picture and realizing I am now in my 30’s is when I realized I needed to make a change and for good. My 30th was in February. I have three kids and my in-laws took them for the weekend. My husband and I went out to dinner and just enjoyed each other. It was a relaxing, wonderful day. I bet a weekend off from the kids was a nice break! looks like a great time! I’m really eager to take a vacation to someplace where all I do is hike or exercise. Maybe in the mountains of Utah or something. im curious as to how ill handle my 30th birthday! ive actually never been a huge birthday person so im sure itll end up being like any other birthday! So glad you stopped by, you are a total inspiration to all of us to keep making changes for a healthier life!! 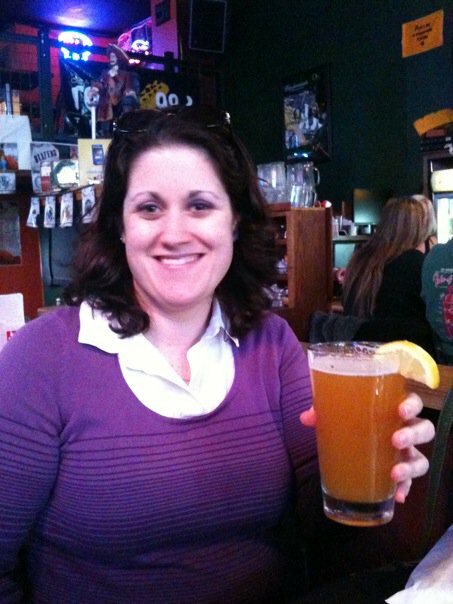 Looks like you had a great time – great food, drink and activity. 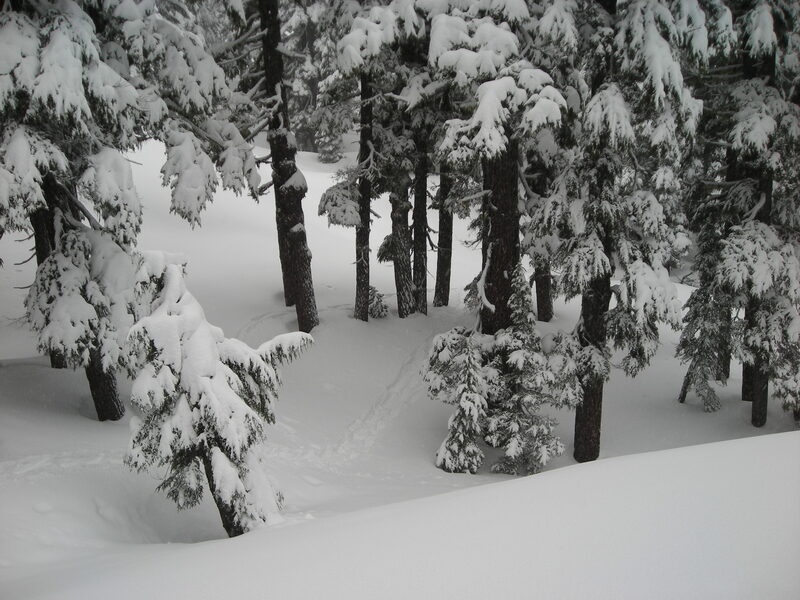 Snowshoeing looks brilliant.